It can take around two weeks to recover f the areas currently under separatists' control. 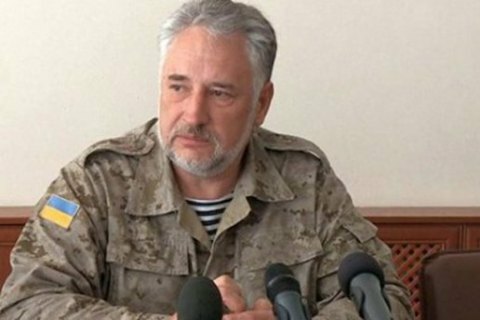 The head of the Donetsk military-civil administration, Pavlo Zhebrivskyy, has suggested that the separatist-held areas of Donbas should be recovered by waging war on Russia. He was speaking on the air of the rolling news TV channel 5 Kanal during the telethon entitled "Ukraine above all". In his words, Russia is prepared to send his troops in "in rather serious amounts" and is prepared to bomb not only Donetsk Region. "This will be an open and serious war between Russia and Ukraine. I am ready and, in principle, I would like this [to happen] because I can clear see that election or not... unless there is a Ukrainian army garrison in Donetsk, Snizhne and Torez, unless there is a military-civil administration which would enforce an absolutely different agenda, a normal, democratically legitimate agenda... it will take us a lot of time to pull people out of that anabiosis where they were put by [Oleksandr] Zakharchenko and [Ihor] Plotnytskyy and Putin, in fact," Zhebrivskyy said. In his opinion, the Ukrainian army is combat ready today and can mop up the separatist-held areas in two weeks. Earlier, Russian State Duma speaker Sergey Naryshkin said that had Russia fought against Ukraine, this conflict would not have taken more than four days.